Welcome to MAY! 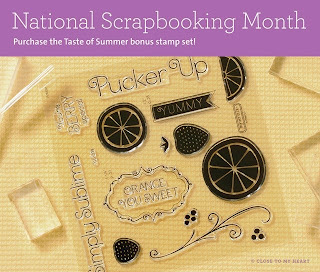 Otherwise known as National Scrapbooking Month. If you're coming from Krista's blog, you're headed in the right direction.. If you're just joining the hop here on my blog- WELCOME. You'll find the next stop on the hop at the end of this post. 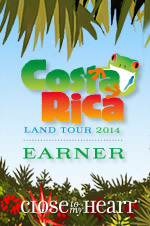 You receive 2 each of 6 different designer papers for 12 total sheets. At $8.95... that's a GREAT DEAL! Here's a fun card I designed using the Taste of Summer paper and stamp set. I can't wait to hop along with you and see all the other artwork! 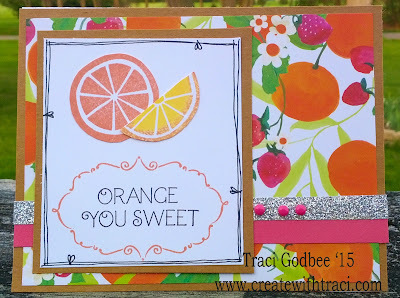 Now head on over to Tracey's blog to see what she created! Fun and cheerful card. Love it! Lovely card. I don't have the stamp set and cannot wait until it gets here. I love what you've done. Simply sublime :) Love the papers with Kraft! 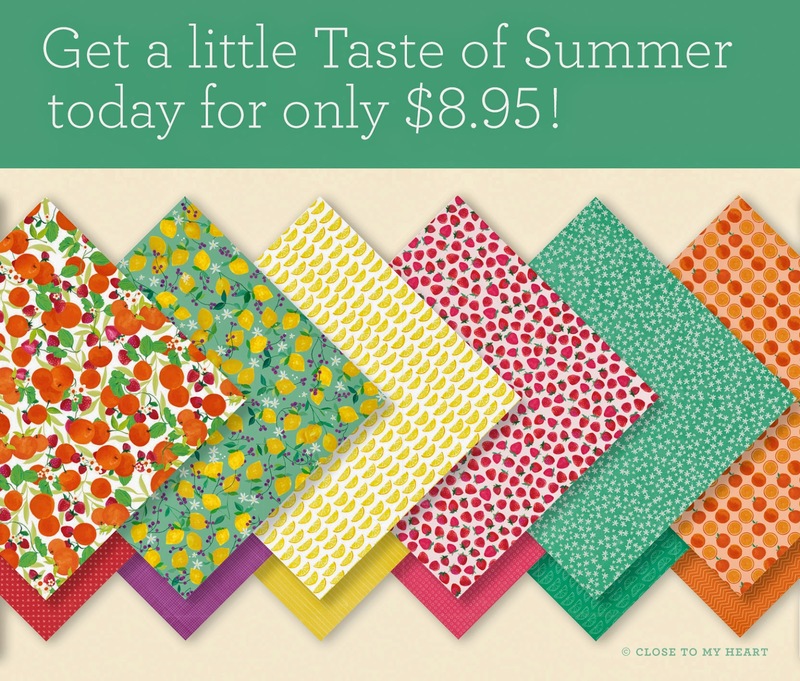 I love the look of Kraft cardstock with this pattern of Taste of Summer. Great combo and BEAUTIFUL card!! Beautiful card. I love what you did with the stamps and journaling pen. Love how you double inked the orange wedge!